There is a question, almost philosophical in its nature, about who should be responsible for developing new skills in the workforce. In the days when employees expected to have a job for life, and stay with the same employer for 40 years, it made sense that employers paid, and often provided, bespoke training programmes. This is still what happens in some professional careers, such as accountancy, with trainees studying while working. In other areas, however, the responsibility is firmly on individuals to get themselves the required qualification, and then find a job, or to fund additional skills training for themselves once working. In data science, employers – or rather would-be employers – complain bitterly about skills shortages and lack of good data scientists. But with demand for data scientists at such a premium, few are willing to fund any additional training for someone who might leave within a year or two. Universities do their best to fill the gap, but they do not always know what skills will be most valued in the workplace. There is, however, another group that could help: analytics providers. It is their customers – employers and would-be employers of data scientists – who are complaining about data science skills shortages. They also know what skills are required because they have developed the analytics software packages. Naturally, they have an interest in helping their customers to secure the services of people who can use their analytics packages, and in securing the future of data science as a whole, because that is their core business. SAS is part of this group, and has committed to helping to secure the future for its customers by creating a pipeline of data science-ready professionals. These include both analysts and citizen data scientists, business users who understand statistics and analytics and are able to do some of their own analysis. 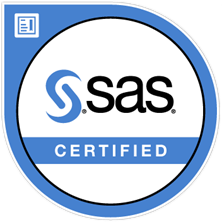 As part of this commitment, I have been involved in the SAS® Software Certified Young Professionals project, or SAS SCYP. SCYP is a free e-learning program for students, designed to prepare and help them get SAS certified. Students in the last or next-to-last year of their undergraduate degrees, or doing a PhD at a university, business school or university college in Spain, Portugal, Belgium or Luxembourg, are eligible to join. There are four different SAS certification programs available: Base Programmer, Advanced Programmer, Statistical Business Analyst or Visual Business Analyst. Students choose the certification(s) according to their profiles and interest fields. SCYP is a free e-learning program for students, designed to prepare and help them get SAS certified. The process is simple. Students sign up and receive links to a group of e-learning modules, and access to the relevant software. This year, they could either complete the e-learning modules in their own time, and without leaving their own university, or they could join the weeklong Study@SAS option at SAS Tervuren in February-March 2018. This came complete with coaching sessions, access to experts and group work. Both options ended with a two-hour exam to obtain the certificate. Students can choose when to take the exam; they do it when they are ready. The first exam is free, but there is a 50-euro fee for a retake, so there is an incentive to wait until you are sure you are ready. Exam sessions may be either at SAS or at the university, depending on numbers and timing. There is usually at least one session per month available at SAS, and we are encouraging more universities to run exam sessions, especially when they have several students involved. This year, we also ran a SAS job event in Brussels in March, after the end of the Study@SAS week. It was held at DigitYser, SAS’ partner in innovation, data science, AI and the Internet of Things. Over the course of three hours, there were a number of five-minute presentations by SAS customers and partners – i.e., companies wanting to hire young data scientists – and then a meet-and-greet reception for companies and students. Overall, the aim of SCYP is to help ensure that there are plenty of data science-ready new graduates joining the workforce. Overall, the aim of SCYP is to help ensure that there are plenty of data science-ready new graduates joining the workforce. By equipping students with some of the essential skills they need to work in data science, we provide them with skills to help them stand out in the jobs market. We also supply the skills that our customers say they need from their staff. It is in nobody’s interest to have large numbers of graduates and school-leavers unemployed because their skills do not match the requirements of the workplace. This SAS program is still relatively small, but it is a step in the right direction, and a start to securing the future of data science. The SAS Certification exams are quite difficult, and hence a CV stating that the student succeeded such Certification is highly valued by employers and can definitely make the difference when students arrive on the job market. 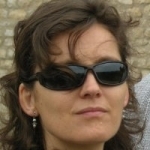 In her role as SAS Academic Relationships Manager, Elisabeth Versailles is responsible for the partnerships and dialogue with Universities and University Colleges in Belgium and Luxembourg. She makes sure that the SAS Academic Program is known at the Academic institutions and works in close collaboration with the institutions to implement the Academic services that are in demand and fit in with the teaching programs and/or research programs.